‘BLURB – You Are The Best Wife: A True Love Story’ is a story about how people find true love and comfort in dissimilarities; about how two people with absolutely different ideologies meet and fall in love. The story revolves around Bhavna and Ajay. Bhavna loves living life for others while Ajay loves living for himself; Bhavna is more spontaneous, never planning the next move and living life with the flow. On the other hand, living life without planning a single move is almost blasphemous to Ajay. Yet, they fall in love; they get married and love changes both of them for good. However, destiny had some other plans for this couple in love; and, midway through their happiness, Bhavna had to resign from life. But does this halt mean the end of love? 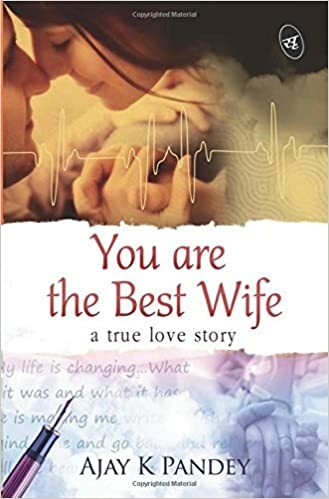 Written in frank and clear words with generous dosage of humour, ‘You Are the Best Wife’ is hailed as a true love story amidst all adversities. 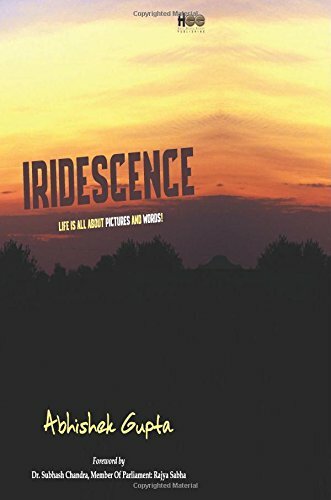 It is an inspiring and bittersweet tale of a youth that metamorphoses into a whole new being after being touched by love. MY VIEWS – i really loved the book being a true story, almost brought tears to my eyes. the author does an awesome job by bringing in all the emotions very raw. it is a medium paced book with a beautiful cover and title as well. makes you look at life differently. will surely teach you something when you are done with it. the typeset is brilliant. beautifully spaced. i really loved the book. Aamir has never met anyone who understands him better than Anvi. But her passion for investigative journalism scares him no end. She is calling while reporting from a crime scene and promising to switch to anchoring when he hears a gunshot. Will she be able to fulfil her promise? Dhruv can do anything to please Vratika, for he seems bound to her for life. They have been going steady for a while and he feels she brings smiles and light to his life like no other. Can one misunderstanding in a moment of anger finish it all? For Aamir, little Dhruv is the best gift life has given him. More than just brothers, they are the beginning and end of their family. After years, struggles and pain are slowly fading away in the face of happier times. But one phone call changes their entire life. Life throws Aamir and Dhruv in a vortex of pain, loss and guilt. While Dhruv wanders for redemption, he meets Sachi. She reads his heart, soothes his soul and brings him face to face with his real self. I Still Think About You is a story of love, brotherhood, passion, dedication, pain and the depths to which a heart can go to win back lost love. CHARACTERS – aamir – elder brother , anvi- aamirs girlfriend, dhruv – aamirs brother, sachi – meets dhruv when he is in brahmi, vritika – dhruvs girlfriend. the description helps ypu form their characters in your head. PACE – medium paced. every event is properly desrcribed not rushing or skipping to some other phases. WOW FACTOR – twist in the story after aamir’s death (not actually :p go read to know). hope and magic – making you hooked to the story. THEMES COVERED – brotherhood, love, belief. aamir is a very caring – taking care of dhruv throughout after their parents accident. Aamir loves anvi more then anything. life is going all right for both the brothers handling them through the worst days. vritika does’nt loves dhruv and is just using him for money and all the attention. due to one such incident. There is a fight between the two brothers that fine morning. bomb blasts in train while aamir was travelling. dhruv loses everything that day. he keeps seraching everywhere but to no avail. aamir and dhruv were supposed to go to brahmi to celebrate their parents anniversary just to keep the promise dhruv goes by and find out a truth. magic and things unfold for him. When Karma Goes Upside Down – by Dishant Huria. Karma has a wicked sense of humour. All we can do is laugh when it’s our turn. By day, Aarush is struggling to get admission in a reputed college for his Master’s degree; by night, he is a technical support man working in a call centre. His lady love plans the most unexpected surprise gift on their fourth love-anniversary – a break-up! In trying to accept that she is gone, he bumps into several girls and an older woman who fascinates him no end. Will she be the anchor he has been waiting for? Or is this also a part of his never-ending quest to understand love, relationships, career and friendship? 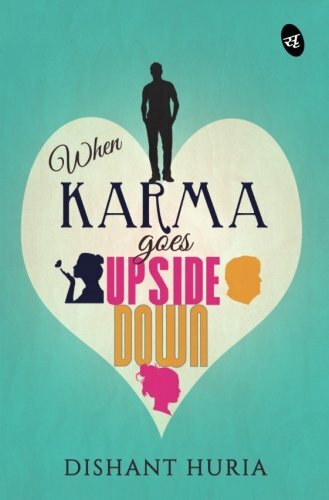 Moving to a new city, finding new friends, getting beaten by the police and experimenting with life in general – he does everything.Join Aarush as he tries – by hook or by crook – to find a way into love and happiness When Karma Goes Upside Down. TITLE – as per the blurb suggest and so does the story, for you never know how life may take it turns. COVER- blue and graphics of 2 women and a boy – suggesting some love affair. The cover lets you know it is a love story with some twist in it. 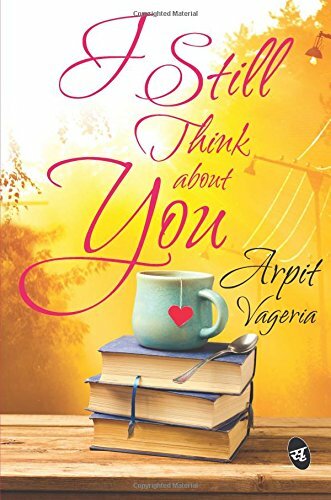 CHARACTERS – Aarush is the male lead character in the book, Nishant is aarush’s best friend, Riddhima is aarush’s ex and Deepali is also another female important character that helps in forming the story. WOW FACTOR – The letters to riddhima or to himself, really makes it more interesting. Also how beautifully the story to his now with his time with riddhima is portrayed together. THEMES COVERED – love, romance, inner turmoil. PACE – The pace is medium. you will want to finish the book in one go. just like i did. The book starts with ridhhima breaking up with aarush. the breakup affects him really badly and he keeps going down to worst. which is made better by Deepali who is in her mid thirties and by coincidence they meet- they know they won’t have any future so they just keep being there for each other. fight and make love. Aarush still keeps getting those pangs for riddhima again and over. He often asks her to get back. one fine day riddhima wants to come back to his life but aarush has lost all of the emotions and is not ready to feel anything anymore. So he keeps on finding what he wants. Messes up with his job as well. well described book and a story with a twist. But as we say, things will get better over time. it does. he is now a writer. but has he moved on? is he better? read the book to know more. 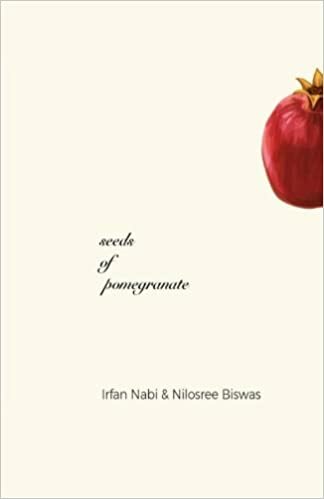 Seeds of pomegranate – by Irfan Nabi & Nilosree Biswas. A drizzle of love, half promises and memories, laced with infatuation, fleeting moments of desire and incompleteness. The trails of these are thought to be long entombed by the sand clock. A glance through those blurred maze of delirium. Nameless, yet familiar! TITLE – a melancholic title. With immense deep thoughts – like those seeds are jewels of the fruit. This book is a jewel to words that we keep safe in our hearts. COVER – simple yet intense. gives in for the effect of a poetry book. The book consists of photos and prose poetry. The prose poetry reminded me of lang leav’s style of writing. The poetry was complementing the photos present in the book. Beautiful and poigant poems, stirring the soul. Each poem leaves you with a satisfaction,a questioning or of a memory that took place once in your life. Most of the poems are very lovely. he/she poems are present. The way the author has woven the words is really mesmerizing. THEMES COVERED – Love, melancholy,friendship. PACE – it is beautiful in every single page. you will finish the book in one go for sure. 4- then i met her. overall each poem is lovely and needs to there in every poets collection. THANKYOU HALF BAKED BEANS FOR THE LOVELY BOOK IN EXCHANGE OF AN HONEST REVIEW. BLURB – “Tara, a young teenager is blessed with a little bit too much of health for her own good. Desperate to get the guy of her dreams, she ends up playing a very dangerous game- a game that could cost her friendship, her peace of mind and even her life ! Actually that’s an exaggeration but yes, she does make some serious blunders in her quest for a perfect body to impress her one true love. Can she do it an d is it all really worth it? MY VIEWS – we all must have read the wimpy kid? or dork diaries or any such other books! guess what?? This book is beautifully illustrated and highly recommended to all the readers out there of any age. The book is very relatable at all points of time. You see the title and it’s relatable! This book is surely one of the must haves in your reading shelf. She really pulled out the wimpy kid series for us too! It is brilliantly illustrated and written by her. 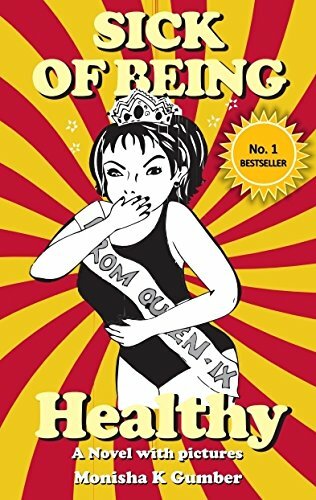 A happy- sarcastic- funny book that you won’t even know when you’re finished with it and probably sulk for another month until she releases the next book in the series. ( yay). the story is based on tara’s life on how she wants to be famous and slim. and it all makes sense and chaos too. Can’t wait for it too! It is a desi book with such sheer awesomeness you cannot miss. Also it is already a national best seller! It is totally a steal! 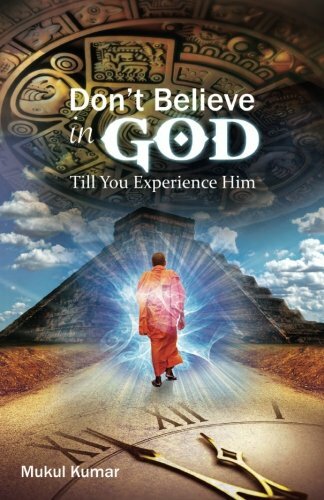 Do not believe in God till you experience Him by Mukul kumar. BLURB – Does Karma exist? Is it possible to remember past life? Are there clairvoyant people who can see your aura and know of your past and future? Is it possible to have “out of the body” experience? Can there be transmigration of souls? Do our dreams tell us something? Can a Guru help you liberate from the cycle of life and death? Is there life on other planets and solar systems? Are there intelligent beings in outer space who are observing us? Do some people know when the world will end? Is it possible to be prepared for the end of the times and to move on to a new civilization? What is the purpose of my life? A series of mysterious coincidences lead a child from a remote village in India, who would not have any future otherwise, make leaps of progress. His curiosity led him to attend some conferences given by a Brazilian missionary representing a cult in Spain headed by a Spiritual leader from Mexico. There was an instant attraction. The boy cuts his family connections, overlooks his career aspirations and lands up in the monastery in the Cataluna region of Spain to be a missionary. The spiritual head of the cult directs all the followers to abandon their worldly connections and prepare for the doomsday and creation of a new human race. The followers built safe houses and prepared fervently in line with the instructions of the spiritual head. The doomsday prediction does not materialize and what follows is chaos and disorientation. blurb – As we experience different places in the external world, we often find ourselves at different junctures in the journey to finding ourselves. This book, through the combination of words and pictures, will take you places, literally and metaphorically. It is a book for everyone and no one. You will find a lot of yourself in this book and this book will help you find yourself. It will make you reflect, introspect, awaken, love, invigorate and hope. This is a book to tuck under your pillow on cold lonely nights and it is also a book to flip through first thing on refreshing spring mornings. This is poetry for all seasons and the constant iridescence of all souls. MY VIEWS ON THE BOOK – just as the name suggests. Such a beautiful amalgamation of both the artforms lucidly together. The book jas two parts with heartfelt poetry and delicate photos with so much serenity and detailings. some photographs also have alot about the picture. The poetry and photos are based on the authors travelling and experiences about life, new people or the nature. It a a very poignant book. The poetry has rhymes or few of them are blank verses. A really recommend this book to all photographers and poetry lovers. Also the pluspoint – the font and the paper is magazine quality worth it!